Great for merchandising impulse items around your store! The versatile willow wicker basket display is a great mobile merchandiser for your sales floor. 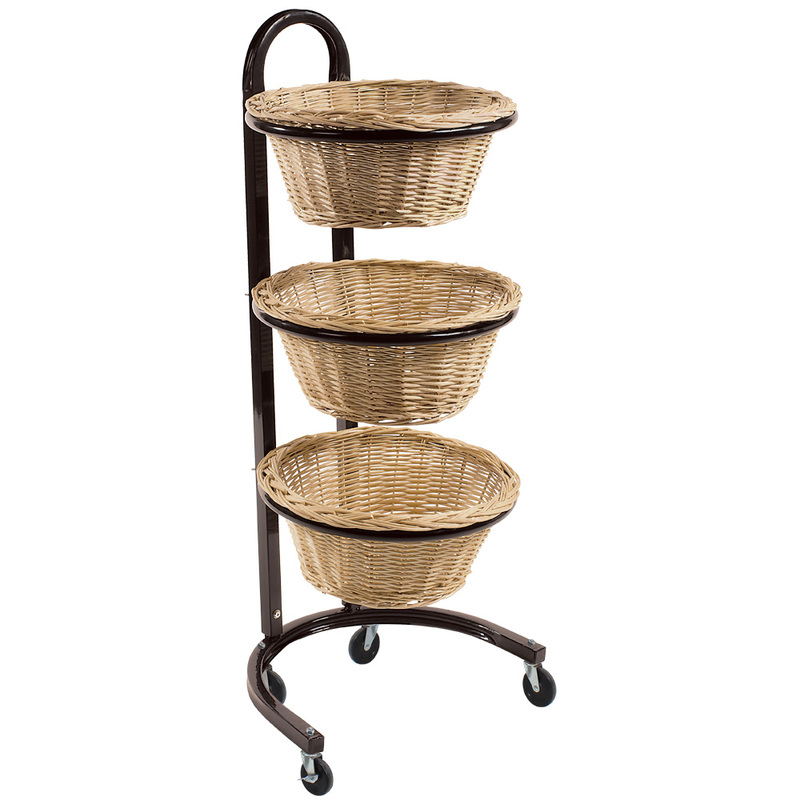 Three natural weaved baskets have a light finish which adds a natural look to your store. Each basket is 15 in. dia. x 6 in. deep. Black metal frame holds baskets at a slight angle and display includes casters. Add a clip on sign holder to neatly advertise specials, search item 60008. Some assembly required.